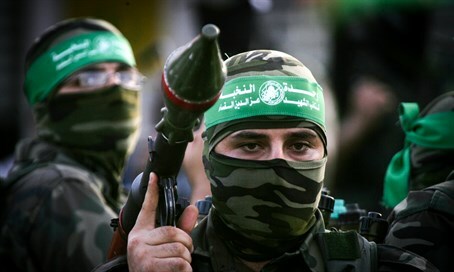 Deportees feel that the Hamas leaders in Judea & Samaria are not involved enough in the current outburst of resistance. According to Palestinian sources, deportees from the Shalit deal in Gaza, Qatar and Turkey are working hard to establish independent military units in Judea, Samaria and eastern Jerusalem in order to carry out attacks against Israel. Hamas sources told Yedioth Ahronoth that those deported have also begun to establish an underground organization parallel to Hamas in Judea and Samaria, much to the dismay of the movement's leadership. The establishment of a military cell by deported prisoners would belong to Hamas’ military wing, both in Judea-Samaria and in eastern Jerusalem. The system would work in a way based on personal connections with the people in the villages and towns which they have lived and work in, before their arrest. Each sector would operate independently and communicate only with their chosen informant. Deportees will send funds to the informant and subsequently set up military cells. Despite opposition by Hamas leaders, resources for the deportees are being provided by the head the Hamas military wing, Saleh al-Arouri, who resides in Turkey. According to the Ynet source, the organization in Gaza pushes to carry out suicide attacks in order to increase the escalation of violence in Judea and Samaria. Severe radicalization of the current situation will provide Hamas with refugees from the crisis to join its population in the Gaza Strip. Last month it was revealed that Hamas activists in Judea and Samaria planned to carry out suicide attacks against Israeli targets. So far, these attempts have failed. In recent times, especially since the outbreak of the latest escalation of violence, deportees of the Shalit deal feel that Hamas leaders in Judea and Samaria fear arrest by Israeli and Palestinian security forces, and are therefore not working to satisfactory expectations. The deportees claim that because Hamas is neither involved enough nor ready to service of the intifada, therefore the leaders care only about their personal interests. As a result, the deportees from the Shalit deal decided to come to grips and began to intervene in the organization of demonstrations, marches and confrontations with Israel, and make connections in the cells of Islamist activists. This self-activity, both civilian and military, arouses great tension for Hamas leaders. The organization's leaders argue that this weakens the Hamas Tanzim and that the deportees are operating with people who are not eligible to complete the movement's civilian missions. Therefore, prominent activists recently met with a leader of the Hamas and presented their claims. He promised to convey the complaints to the deputy Hamas leader, Ismail Haniyeh, but so far they have not found a solution to the issue, and tensions remained.